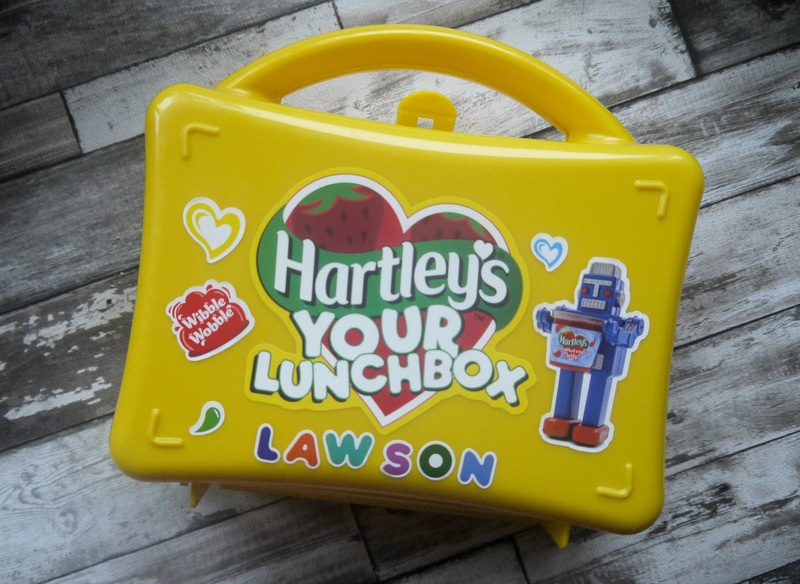 Hello lovelies, Hartley's very kindly sent us A LOT of jelly recently and a totally cute little lunchbox with stickers, Oscar already has a lunchbox for school so I thought I would jazz this one up for Lawson as we are always out an about. 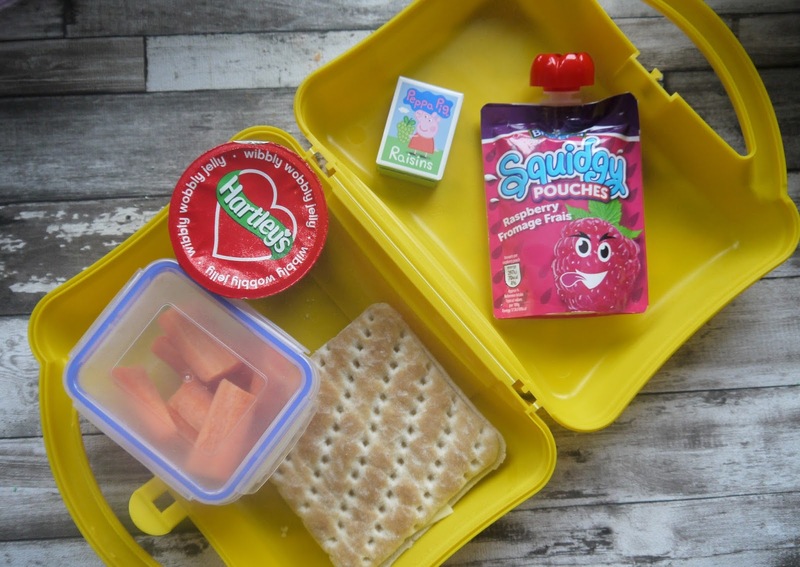 I have been adding Hartley's jelly to Oscar's lunchbox though and he was so happy when he went back to school with a jelly pot in his lunchbox, he said 'mummy my friend said he wished his mummy put jelly in his lunchbox'. I was like yes mom points! Thanks Hartley's ;). I wanted to do a super cute lunchbox but I ordered some dinosaour cutters ages ago hence why this post is late but they still haven't come! Gutted so I just thought I would share with you whats usually in Lawson's lunchbox and Oscar's. I always put in a pot of either a vegetable or a fruit selection carrot sticks or apples are their favourite, a box of raisins, a sandwich obviously and some yoghurt and now a pot of Hartley's jelly. Both of my kids love jelly, which kid or adult even doesn't like jelly? 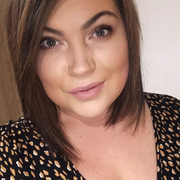 I'm also happy because I've recently re joined back at slimming world and I think its only like half a syn for a pot, winner! I'd love to see what's inside your children's lunch boxes if you have any pictures let me know!